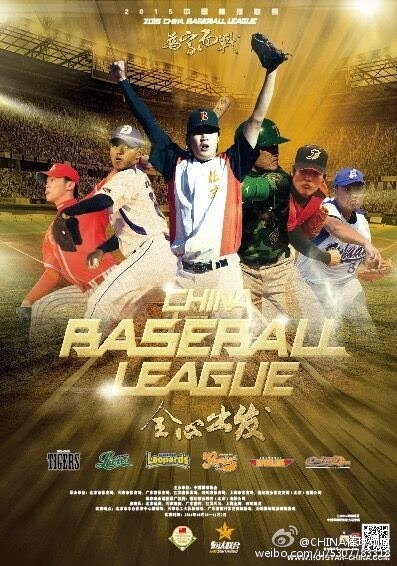 Finally, the CBL schedule is out and it doesn't seem like there will be any delays like last year. Well...at least I hope...A lot of changes this year, and I'll try my best to give you guys a rundown. Instead of playing all over China, each week will take place in one location: First in Beijing, then Guangzhou and Wuxi. I apologize for not translating the full schedule, but if you want to know more, just e-mail me. Anyway, a lot more news to come. I've been slacking a lot lately, but I hope this information was at least helpful! My friend has a bit more information, but it's in Japanese. Thank goodness there's translate on Twitter. Check out his page here. Also, some sad news. Fellow Chinese Bruce Chen has decided to retire this week after being released from his minor league contract by the Cleveland Indians. Although he was born in Panama, he did try to play for China in the 2013 WBC. Good effort! Have a wonderful retirement Mr. Chen! I hope you all enjoy your week! Thanks for reading!